Who runs Nonprofit Leadership Alliance? Nonprofit Leadership Alliance is a student-led organization! 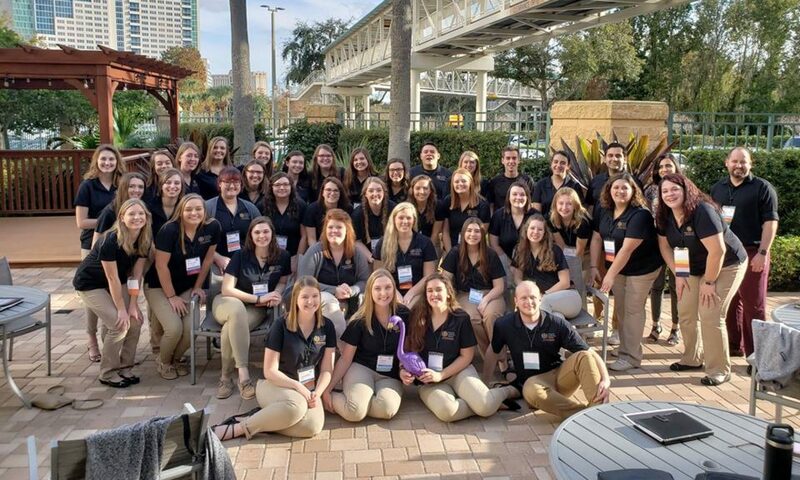 While university professors are in attendance at executive meetings and association meetings, all projects, activities, and meetings are planned and implemented by Nonprofit Leadership Alliance students who have volunteered for leadership positions. What does Nonprofit Leadership Alliance do? Nonprofit Leadership Alliance provides many unique and valuable experiences for students. Students will not only earn nonprofit certification, but will also gain professional development skills, participate in meaningful and fun events, attend nonprofit conferences, and become eligible for internships and scholarships that other students may not have access to. Nonprofit Leadership Alliance also builds relationships among students who desire to make a difference in the nonprofit sector. When and where are the student association meetings? Student association meetings take place Monday afternoons from 3 p.m. to 5 p.m. in WRC room 252. Why is Nonprofit Leadership Alliance so important? Nonprofit Leadership Alliance is important because it builds up future nonprofit leaders. It also sets students up for success by providing hands on opportunities for students to assist local nonprofit organizations and build collaborative relationships between nonprofit organizations. We would be happy to answer any questions you may have about the Nonprofit Leadership Alliance!